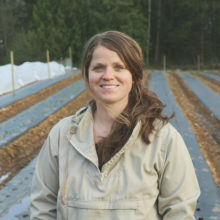 Sarah is the owner and farmer at Kehler Vegetable Company in Black Creek. She studied environmental stewardship and worked in invasive plant management in Alberta before pursuing farming with her family in the Comox Valley in 2014. 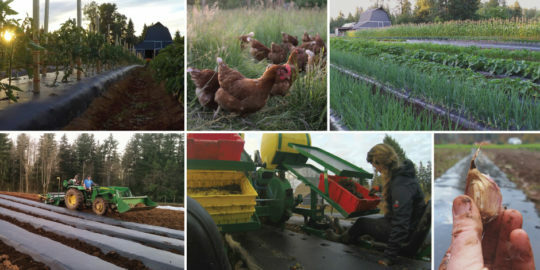 The farm produces pasture-raised eggs, mixed berries, and vegetables for a 16-week Community Supported Agriculture program, on-farm market, and wholesale.